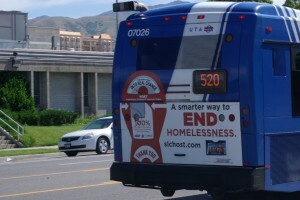 June 14, 2013 — A new public service campaign touting a “smarter way to end homelessness” by donating to the Homeless Outreach Service Team (HOST) is now traveling on UTA buses and TRAX trains in the downtown area. 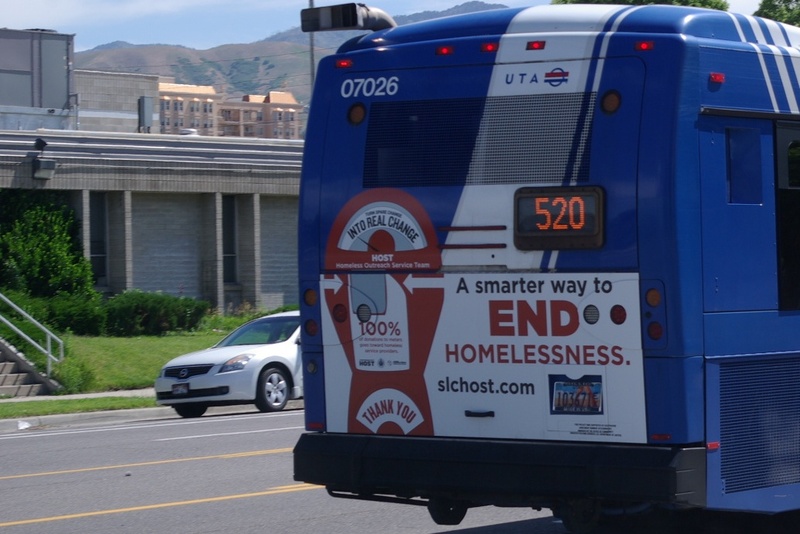 A nearly $50,000 federal grant from the Office of Community Oriented Policing Services with the Department of Justice helped fund the new “smarter way” education campaign, which will run on the back of eight UTA buses and inside 25 TRAX trains this year. The ads remind the public to deposit money in specially designated red parking meters and thereby “turn spare change into real change,” language which marks HOST’s 13 meters scattered throughout the downtown area. Deposit coins in HOST meters, a map of which is posted at slchost.com. Donate to the Pamela J. Atkinson Foundation/HOST account at any Zions Bank location. The Atkinson Foundation accepts and administers all donations from the public on behalf of the HOST program. Contact: For more details about the HOST program, contact Sgt. Michelle Ross at (801) 330-5065.